Dr Shaun Patrick O’Leary is a Senior Lecturer in Musculoskeletal Physiotherapy at the University of Queensland, a Principal Research Fellow of the Physiotherapy Department/OPSC&MDS at the Royal Brisbane and Women’s Hospital, and a Specialist Musculoskeletal Physiotherapist (Zest Physiotherapy Brisbane) and Fellow of the Australian College of Physiotherapists. His qualifications include; Bachelor of Physiotherapy (Hons) (1993) UQ, Master of Physiotherapy Studies (Musculoskeletal) (2000) UQ, Doctor of Philosophy (Physiotherapy) (2005) UQ,Fellowship by Specialisation (Musculoskeletal) (2008) Australian College of Physiotherapists. HONOURS AND AWARDS: Dr O’Leary was bestowed the ‘The George Davies and James Gould Excellence in Clinical Inquiry Award’ for 2010 by the American Physical Therapy Association for an invited paper entitled “Muscle Dysfunction in Cervical Spine Pain: Implications for Assessment and Management”. This is an international award for the best clinical commentary paper of the year published in the Journal of Orthopaedic and Sports Physical Therapy. The applied clinical nature of his research was also acknowledged by his professional organisation (Australian Physiotherapy Association – Qld Branch) when he was awarded the 2009 ‘Contribution to Physiotherapy Research Award’, by the National Health and Medical Research Council (NHMRC) when he was awarded an NHMRC Health Professional Research Training Fellowship in 2008, by his University Department when he was awarded the University of Queensland Physiotherapy Alumni Scholarship in 2003, and by his University when he was awarded a University of Queensland Postgraduate Research Scholarship in 2001. Dr O'Leary was also the recipeint of the Manipulative Physiotherapy Association of Australia (QLD Chapter) award for excellence in the study of Manipulative Physiotherapy in 2000. 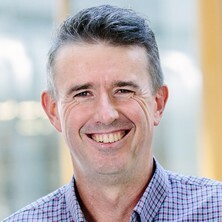 RESEARCH FUNDING: Dr O’Leary has to date obtained $1, 068, 711 in project grant funding that includes grants from the NHMRC (Project Grant APP1042508, CIA Johnston), Queensland Health (9 Grants (7 as CIA)), Physiotherapy Research Foundation (1 Grants) and AusHSI Group (1 Grant). Dr O'Leary has also received $583, 400 in post-doctoral fellowship funding (NHMRC Health Professional Research Training Fellowship, Queensland Health Principal Research Fellowship) and $128, 803 in equipment funding. CONTRIBUTION TO THE FIELD OF RESEARCH: Dr O’Leary has achieved 34 original research publications in peer reviewed international journals most of which concern the management of musculoskeletal disorders, 6 invited review articles in prominent peer reviewed journals, 2 book chapters, 1 Book, and 1 International Patent (h Index = 15). COLLABORATIONS: Dr O’Leary has established collaborations with researchers in the USA (Northwestern University, Chicago), Sweden (Umeå and Linköping Universities), Belgium (Ghent University), Denmark (University of Southern Denmark), Germany (University Hospital Göttingen), as well as collaborations in the following Australian Universities (Curtin University, Queensland University of Technology, Griffith University, Monash University, University of Sydney). COMMUNITY ENGAGEMENT: Dr O’Leary is often invited to speak for organisations external to his field including other health professional groups and organisations such as health insurers, dental organisations, as well as provide expert opinion regarding Physiotherapy Registration Board Misconduct matters. PROFESSIONAL INVOLVEMENT: Dr O’Leary is a Fellow, examiner, and former member of council of the Australian College of Physiotherapists (ACP). He is also a member and has served on committees (conference organisations and general) of the Australian Physiotherapy Association (APA) and Musculoskeletal Physiotherapy Association (MPA). These are member organisations of the International Federation of Orthopaedic Manipulative Physical Therapists (IFOMPT). INTERNATIONAL STANDING: Dr O’Leary has received invitations to provide keynote addresses at conferences in Norway (Norwegian Sports Medicine Conference 2014), Australia (Golf Science: A World Scientific Congress of Golf 2014), Brazil (Brazilian Congress of Manipulative and Musculoskeletal Physiotherapy 2010), United Kingdom (Manipulation Association of Chartered Physiotherapists 2010). Overall Dr O'Leary has delivered 33 papers at conferences. Dr O’Leary’s level of clinical expertise is highly regarded and has already led to the publication of a book concerning the management of cervical spine disorders, as well as chapters in an internationally acknowledged prestigious discipline specific book. Apart from his clinical teaching at the University of Queensland undergraduate and postgraduate programs, Dr O’Leary has also delivered numerous clinical seminars in Australia and 16 seminars internationally including Japan, England, Ireland, USA, and Norway. SUPERVISION AND MENTORING: Dr O’Leary is currently supervising 3 PhD candidates (2 as primary supervisor) and 3 research MPhil students (2 as principal advisor). He has acquired significant experience in the supervision of Honours students (5 completed - 4 current) and coursework masters research projects (6 groups completed - 1 current). PEER REVIEW INVOLVEMENT: Dr O’Leary is a member of the editorial board of a well-respected journal in his field (Manual Therapy) and is regularly requested to provide peer review for other international journals in his field. Shaun is also a member of the council for the Australian College of Physiotherapists and is a thesis examiner for the council which has included peer review for academic based original contribution applications. Dr O’Leary has contributed as a grant reviewer for the NHMRC, as well as the Physiotherapy Research Foundation, and the Queensland Health HP Research Grants Scheme. He has served on Queensland Health Grant selection panels. 1) NHMRC Research: Johnston, Straker, Sjogaard, O’Leary, Melloh. A workplace-based exercise intervention to prevent and reduce the economic and personal burden of non-specific neck pain in the office personnel (APP1042508) NHMRC Project Grant Organisations Affected: Industry worldwide that employ office workers Changes: Approximately one in two office workers in Australia is affected by neck pain during their working career. This study is the first to combine evidence-based ergonomic and exercise interventions not only for the prevention of neck symptoms but also for the management of neck pain in office workers. It is also the first to evaluate the impact of an intervention relevant to both the employer (lost productivity) and the worker (perceived neck pain). The findings of this study will have a direct impact on policies underpinning the prevention and management of neck pain in office personnel. 2) Research: Comans, Raymer, O’Leary, Smith. Are physiotherapy led screening clinics cost effective in improving orthopaedic outpatient services? AusHSI Stimulus Grant. Organisations Affected: Queensland Health with direct relevance to other orthopaedic public health care facilities Changes: The findings of this study will be delivered to Hospital and Health Service Executives and their governing board who are responsible for the management and funding of specialist outpatient services. The results will guide their decision making concerning the optimal mix of service provision (Orthopaedic Physiotherapy Screening Clinics/Traditional care) within future orthopaedic health services. Similarly the results will be provided to, and be of great value to the Health Services and Clinical Innovation Division, which delivers state wide clinical support and coordination assistance to Hospital and Health Service's in their pursuit of elective surgery access targets. 1) Research: O’Leary, McPhail, Comans, Raymer, Khan. Optimising patient selection and resource utilization for the non-surgical management of common orthopaedic conditions. RBWH Private Practice Trust Fund Grants. Organisations Affected: Queensland Health with direct relevance to all orthopaedic health facilities worldwide Changes: The Orthopaedic Physiotherapy Screening Clinic and Multidisciplinary Service within Queensland Health provides timely coordinated multidisciplinary non-surgical management to patients who previously endured extended periods on orthopaedic waiting lists. Our retrospective pilot study identified characteristics of patients managed in the service that predicted the success of their outcome. This warranted a comprehensive prospective study that will provide a fully informed clinical tool that will enable clinicians within the service to robustly screen suitability of patients to the service and importantly identify those patients unlikely to benefit from the service so that alternative management plans can be implemented. Therefore this study will directly enhance patient care and resource utilisation. 2) Research: Original research with direct clinical impact disseminated by Shaun O'Leary in physiotherapy educational curricula and seminars to clinicians nationally and internationally. Organisations Affected: University graduate and postgraduate physiotherapy programs. Physiotherapy education providers internationally. Public and private physiotherapy services. Changes: Shaun O'Leary's research has direct translation to clinical practice and is an intergral component of musculoskeletal physiotherapy educational curricula particularly with regard to the management of problematic neck disorders and the assessment and training of neck muscle function. Outcomes: Research findings are directly integrated into physiotherapy education curricula to improve the training of physiotherapists and subsequently patient outcomes. Do patients discharged from advanced practice physiotherapy-led clinics re-present to specialist medical services? Is perceived force an accurate method of regulating exercise load for the neck? Does fatigue of the shoulder girdle contribute to neck pain disorders?